Top of the morning to you! 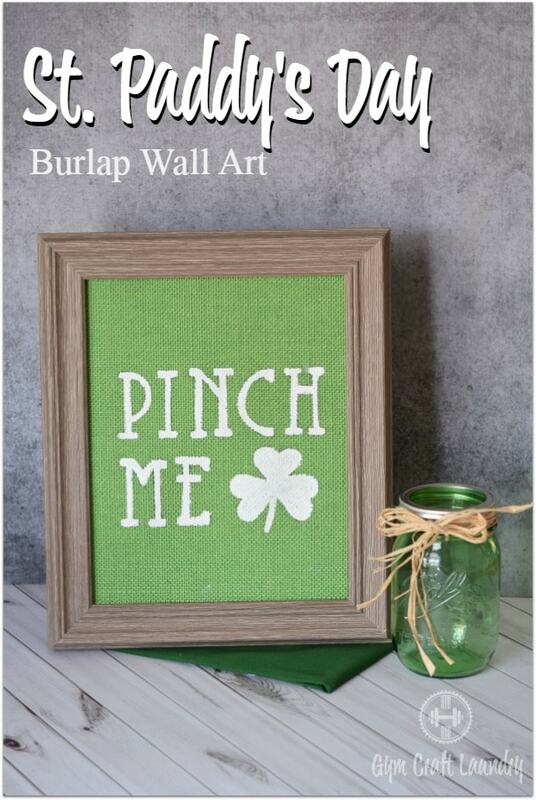 It’s been some time since I shared some easy homemade burlap wall art with you guys. I still keep my bird burlap canvas piece on display year round but I like to add seasonal burlap wall art every once in a while. 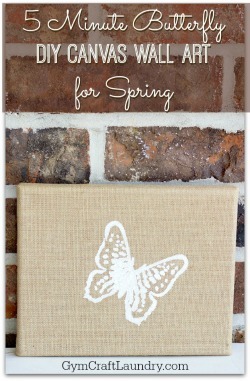 Don’t worry, like all my burlap decor projects this one is super simple but oh so cute! 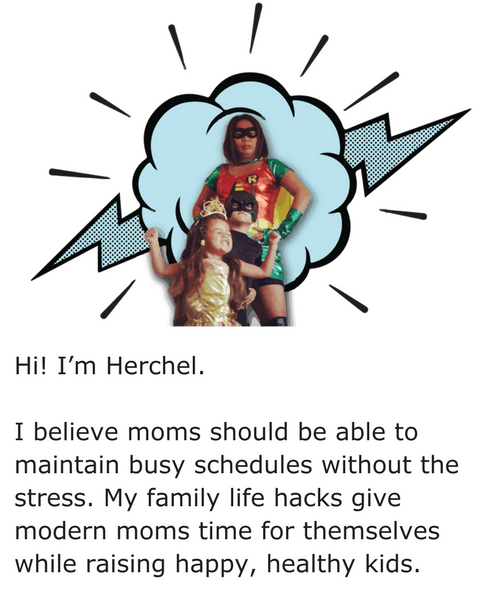 I included affiliate links for your shopping convenience. Using the frame insert as a guide, cut your burlap to 8×10. 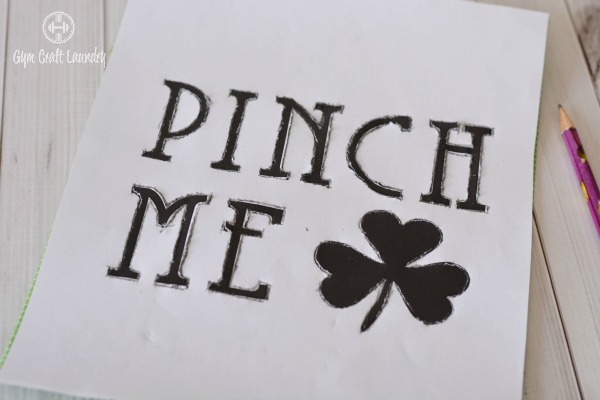 Do the same with your pattern since it’s printed on an 8.5 x 11 sheet of paper. If you buy yards of burlap instead of sheets and have a hard time cutting it, check out these tips on cutting burlap without fraying from Two it Yourself. 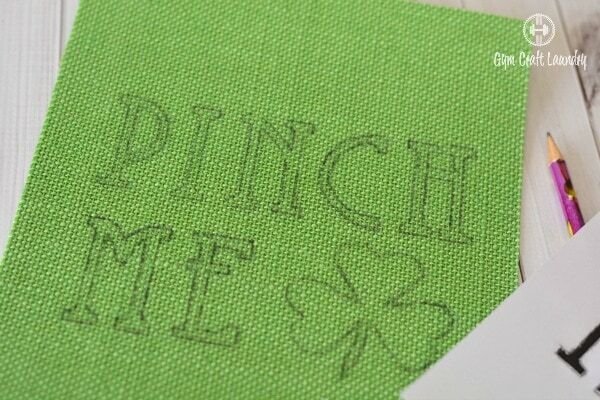 Place your pattern on top of your burlap paper and line up. Begin to trace the pattern onto the burlap. Using your sharp pencil, cut through the pattern as you trace outside of the edges, drawing the pattern on the burlap. 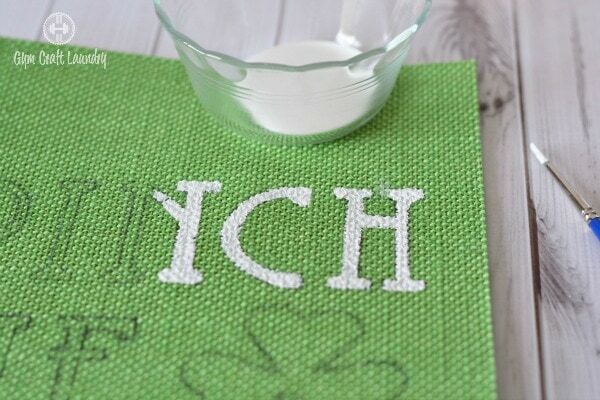 Use white acrylic paint to fill in the pattern. 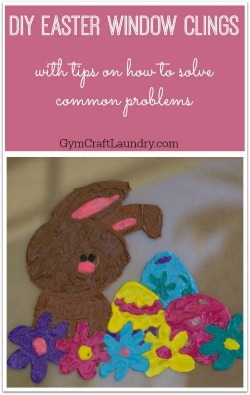 Let dry and place in a frame (you can put behind the glass or in front of it) and enjoy! 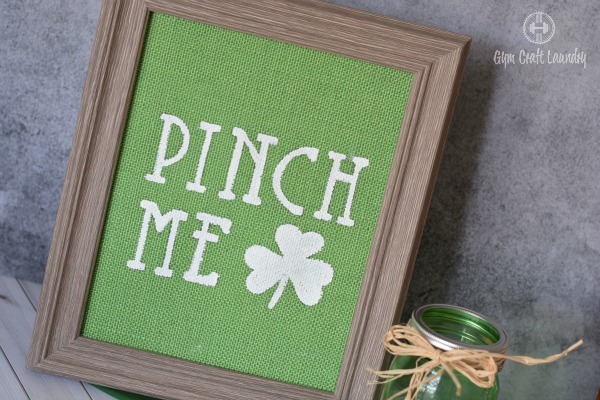 I told you this DIY burlap wall art was going to be easy to make! 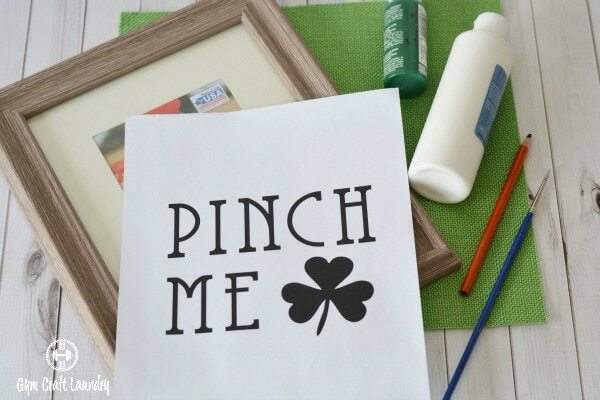 Did you see the the other crafty Saint Patrick’s Day gems I found around the internet? Check them out! 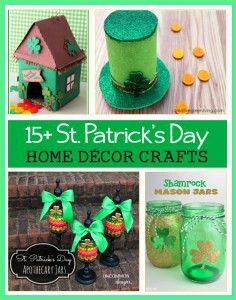 Are you decorating for Saint Patrick’s Day? Leave me a comment and let me know! I’d love to see what others do. I love this classy burlap monogram wall art from Amazing Interior Design. 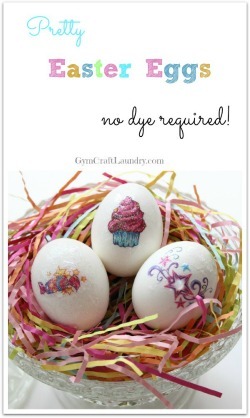 I am going to try something similar next! Super cute! Thought I don’t think mine would turn out this perfect! !